Random House Trade Paperbacks, 9780812971040, 400pp. Boston, 1865. The literary geniuses of the Dante Club—poets and Harvard professors Henry Wadsworth Longfellow, Dr. Oliver Wendell Holmes, and James Russell Lowell, along with publisher J. T. Fields—are finishing America’s first translation of The Divine Comedy. The powerful Boston Brahmins at Harvard College are fighting to keep Dante in obscurity, believing the infiltration of foreign superstitions to be as corrupting as the immigrants arriving at Boston Harbor. 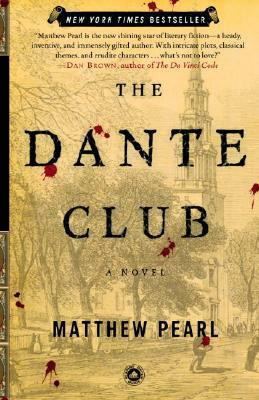 But as the members of the Dante Club fight to keep a sacred literary cause alive, their plans fall apart when a series of murders erupts through Boston and Cambridge. Only this small group of scholars realizes that the gruesome killings are modeled on the descriptions of Hell’s punishments from Dante’s Inferno. With the lives of the Boston elite and Dante’s literary future in the New World at stake, the members of the Dante Club must find the killer before the authorities discover their secret. Matthew Pearl is the New York Times bestselling author of The Dante Club, The Poe Shadow, The Last Dickens, The Technologists, The Last Bookaneer, and The Dante Chamber, and the editor of the Modern Library editions of Dante’s Inferno (translated by Henry Wadsworth Longfellow) and Edgar Allan Poe’s The Murders in the Rue Morgue: The Dupin Tales. His books have been translated into more than thirty languages, and his nonfiction writing has appeared in The New York Times, The Wall Street Journal, The Boston Globe, and Slate.